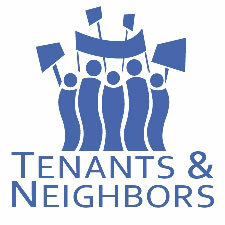 Mt, Vernon United Tenants is planning two important events to advocate for renewal and strengthening of rent control laws, which affect over 1 million tenants in New York state. 1) On Tuesday, January 25, we sponsoring a van to bring a group of tenants and allies from Westchester to speak to legislators, and advocate for renewal of the rent laws, as part of the statewide Real Rent Reform (R3) campaign. The van leaves from Mt. Vernon at 8:00 AM. If you are interested, please call Dennis Hanratty on Monday before 3:00 PM at (914) 699-1114 ext 303. 2) On Tuesday, February 3rd, we’re sponsoring a county-wide strategy meeting to engage a wide range of housing, neighborhood, civil rights and community organizations in this campaign. Michael McKee, an experienced statewide organizer from Tenants PAC will join us to share information and help us brainstorm strategy ideas. See details below. Mt. Vernon United Tenants is sponsoring a county-wide strategy meeting to discuss actions to renew and strengthen New York’s rent laws. The Real Rent Reform (R3) is a statewide coalition of housing, community, and labor groups fighting to pass progressive legislation to protect tenants and preserve affordable housing. The laws that govern rent regulation sunset on June 15, 2011. Without these laws, over a million rent regulated tenants could lose their protections. We are fighting to get the laws not only renewed, but strengthened! Please join us to build a strong county-wide network to advocate and educate the public on these critical issues. Michael McKee of Tenants PAC will join us to share information about the campaign, and help us develop ideas for effective actions we can take here in Westchester. Renew the expiring rent laws and the expiring coop conversion laws, without further weakening amendments. Repeal Vacancy Decontrol, and re-regulate most of the 300,000 apartments that have been deregulated by vacancy decontrol in the last 16 years since this damaging amendment became law. Under vacancy decontrol, when the rent for an apartment reaches $2,000 and the current tenant moves out, the unit is deregulated. This provision encourages illegal rent increases and harassment of long-term tenants while deteriorating the stock of regulated housing. Place apartments in former Mitchell-Lama and former project-based Section 8 buildings under the protections of rent stabilization. In New York City alone, more than half the 80,000 rental apartments that were built under Mitchell-Lama have been removed from this government program by their landlords. Some of these units went under rent stabilization – and are resisting rent increases under a legal loophole – but the majority did not, and these unprotected tenants are being displaced every month. While few Section 8 buildings have yet left government supervision, it is simply a matter of time before landlords convert them to market rate, unregulated apartments.